Children's little thumbs can start to "turn green" at a young age, and they may start enjoying agricultural interests early on. The Oxford HeadStart program (a federally funded pre-school for children in eligible families, ages 3-5), have taught some non-traditional gardening techniques, to get kids excited about 'growing it themselves'. For families who don't have garden space available, the HeadStart children (and their families) learn to plant "salad gardens" in a pot or window box. It's a great outdoor family activity and it can help supplement food resources. The children also have learned about flower bulbs and planted an assortment for summer flowers in the small garden in front of the HeadStart center on North Washington Avenue. School aged children (5-18 yrs.) can join the 4-H clubs offered through the henango County Cooperative Extension 4-H office in Norwich (607-334-5841 ext 15). Clubs may concentrate on one subject area, such as livestock or fishing and aquatics, or may participate in a wide variety of projects each year. Club members help determine the focus of each club. Once kids enter the Oxford Academy High School, they can take courses in agriculture offered today, by Crystal Aukema, Agriculture Educator. Crystal has reorganized Oxford Academy's FFA (Future Farmers of America) Chapter as well. Oxford Academy offered their first courses in Agriculture in 1917, due to a demand for a more "practical education". Over the many years, one teacher that was held in high regard was Fred Vogelgsang. Many of his students won agricultural medals and honors from the Nat'l FFA Convention, as well as local and state fairs. He was at Oxford Academy from 1936, when the class took first place in judging at the NY State Fair, to 1969 when he retired. Today, students in grades 9-12, can choose from the Horticultural Courses: Greenhouse, Landscaping, and Grounds Maintenance. There's also Repair Courses: Fixing Small Diesel Engines, Fixing Small Gas Engines, and Welding. They can stay with one field, advancing over the four years, or take a variety of the selections. What ever agriculture course(s) they choose, they can expect to have to meet high standards, as they have been well established over the years. The Oxford High School Agriculture Department also holds a one-day Agriculture Fair, and has for many years. Now being organized by Crystal Aukema, the Fair is held in the Fall, over at the Middle School. Kids from many grades enjoy proudly exhibiting a specimen plant, a prized vegetable, a special animal, or an expressive art project. Sometimes they have demonstrations by the Dept. of Transportation's snowplow, pedal tractor pulls, an antique tractor display and many other fun events. 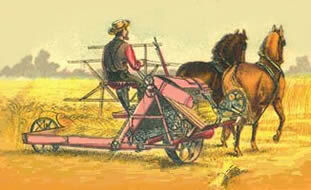 The once "simple" farmer, today has many modern technological advances available to him/her. College courses offer plant biology; physical, chemical, biological and hydrologic properties of soil; drainage and irrigation systems; waste and environmental management; related computer programs; agroforestry; dairy; grazing; horses; farm management, and much more. Many scholarships are available as well. On the high school level, there are 4-H and Oxford Garden Club scholarships, and many other scholarships available as well. 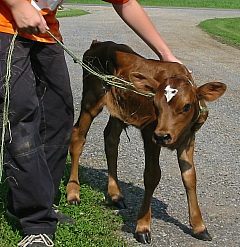 Students seeking a future in agriculture need to look no further than the State University of NY Morrisville http://www.morrisville.edu/ (their College of Agriculture & Technology) and SUNY Cobleskill http://www.cobleskill.edu/Academic/AG/AGBU/ , as they are both local and have very strong "ag" programs. For a future in Environmental Science or Forestry though, she suggested looking into SUNY - ESF http://www.esf.edu/welcome/. This four-year college, located in Syracuse, is the only institution in the U. S. with a program focused largely on the study of natural resources and the environment. Another SUNY college with related courses offered is SUNY Delhi, http://www.delhi.edu/ in Delhi, NY. They offer courses in landscape and golf course management, horticulture, veterinary science technology, and veterinary management. There are more farms in Chenango County than any other county in the entire (NYS) Leatherstocking region! In Oxford alone, there are so many cows that they have to come close to equalling the number of residents! Plenty of good food, clean water, fresh air and warm sunlight helps them to grow and stay healthy. (Despite the lush fields, it's not unheard of for a few cows to wander off looking for "greener pastures" on someone's front lawn!) Oxford livestock abounds with dairy cows, beef cattle, horses, pigs, sheep, rabbits, chickens, exotic alpacas, and more! Even the Oxford Post Office resonates with the echoing sound of peeps by little chicks being delivered by mail in May. Victor Seitles is Big Diamond Real Estate's broker and a P.O.N. member. He is very familiar with the land situation in and around Oxford. He was even quoted in the Evening Sun newspaper, along with a few other well-established brokers, and they all basically had the same assessment--farmland here is very much in demand. "There's keen interest in bare land [for farming]", said Victor, "but large acreage is a scarcity!" Mr. Seitles explained that if someone was interested in fifty acres or under, there are plenty of those small parcels. The ballpark for land is around $1,000./acre but that depends on the characteristics such as the decent road frontage ratio, buildings (if any), and the assets (such as timber, water, or ponds).